Trainer Todd Pletcher is bringing Grade II Risen Star third-place finisher Noble Indy back to the Fair Grounds Race Course & Slots for next Saturday's Gr. II $1 million Louisiana Derby Presented by TwinSpires.com, but this time he will be accompanied by stable mate Hyndford. Prior to finishing third in the Risen Star, the WinStar Farm LLC and Repole Stable-owned son of Take Charge Indy was a dual winner at Gulfstream Park in his prior two starts. He broke his maiden in wire-to-wire fashion by 8¾ lengths before a two-length victory against winners on Jan. 11. He currently has 10 points from his Risen Star effort and sits at No. 25 on the Kentucky Derby Leaderboard. Donegal Racing's Hyndford on the other hand, was pointing towards the Gr. III $800,000 Sunland Derby at its namesake track on Sunday, Mar. 25. A son of Street Cry (Ire. ), Hyndford was a $200,000 purchase at the Keeneland September Yearling Sale in 2016. 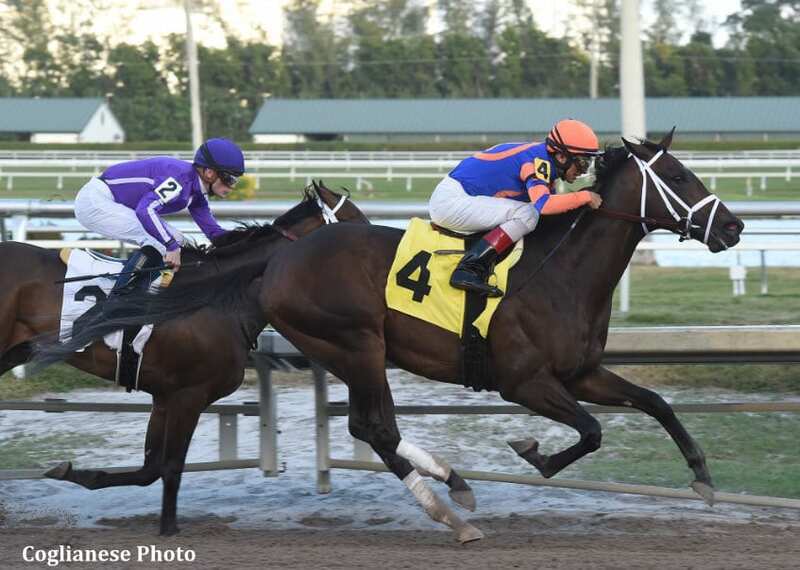 He broke his maiden second time out for a $50,000 tag at Gulfstream Park on Jan. 19 and most recently was second behind stable mate Magnum Moon at Tampa Bay Downs last month. Hall of Fame jockey and regular rider John Velazquez will pilot Noble Indy, who breaks from post two at 7-2 morning line odds. Joe Bravo has the mount aboard Hyndford. This entry was posted in Triple Crown and tagged Donegal Racing, fair grounds, hyndford, john velazquez, Louisiana Derby, noble indy, Repole Stable, Risen Star, road to the kentucky derby, Street Cry, Take Charge Indy, todd pletcher, winstar farm by Press Release. Bookmark the permalink.